More power, less fuel burnt. The last couple of months have been exciting for the relatively unexciting Toyota Yaris. First, in early December, the Japanese manufacturer revealed its competition-prepped Yaris, which made its first appearance in the World Rally Championship last weekend. Less than a month later we saw a hot, WRC-inspired Yaris with “more than 210 horsepower (156 klowatts)” in first official images. And now there’s a new 1.5-liter, naturally-aspirated engine for the standard Yaris. The four-banger is effectively replacing the 1.33-liter unit from the current lineup, offering more power and higher efficiency. With 110 hp (82 Kw), it is has 12 hp (9 kW) more and also a higher torque peak at 101 pound-feet (138 Newton meters). The motor will be produced in Poland as part of a $161-million investment and will deliver “better performance and a more enjoyable drive,” while at the same time achieving a reduction of up to 12 percent in fuel consumption, under the current NEDC official test criteria. Interestingly, the new unit has been optimized not only for urban use, but also for motorway trips. For the first time Toyota is introducing a water-cooled exhaust manifold, which limits the gas temperature, avoiding the need for mixture enrichment to reduce combustion temperature at any motorway driving speed. As a result, both fuel consumption and exhaust emissions are reduced, the company claims. 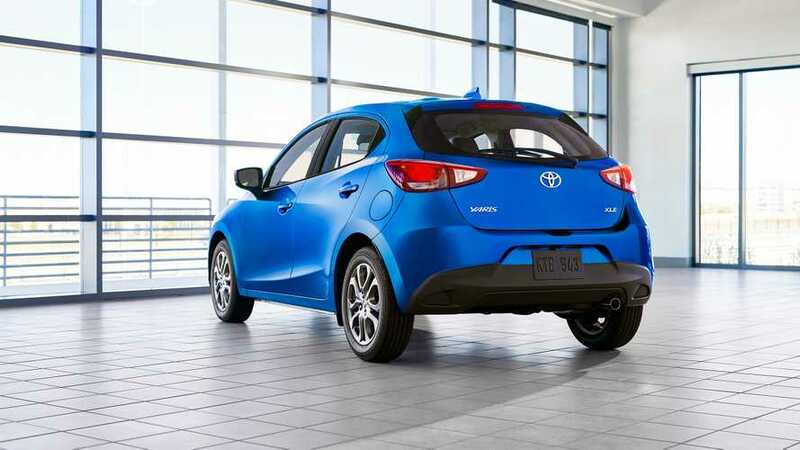 Needless to say, the 1.5-liter unit also benefits from Toyota’s VVT-iE technology, a variable inlet valve timing system. In its newest version, it uses electronically controlled intake valve and hydraulically controlled phase shift of the exhaust camshaft. 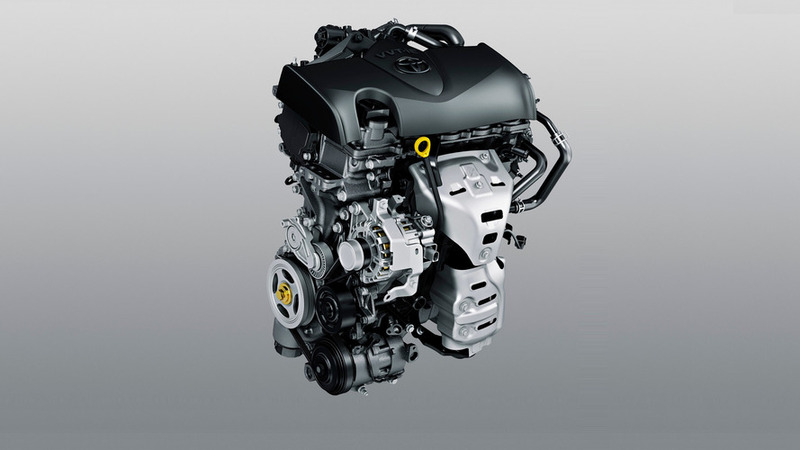 Toyota is introducing a new 1.5-litre four-cylinder petrol engine to the Yaris range to replace the current 1.33-litre unit, offering not only more power, more torque and faster acceleration, but also improved fuel economy and lower CO2emissions. Developed in anticipation of the future Euro 6c emissions standard and RDE (Real Driving Emission) homologation requirements, it is a member of Toyota’s ESTEC (Economy with Superior Thermal Efficiency) engine family. It benefits from new technical features that deliver better performance and a more enjoyable drive, while at the same time achieving a reduction of up to 12 per cent* in fuel consumption, under current NEDC official test criteria. The new unit is being manufactured by Toyota Motor Industries Poland as part of a €150 million production investment programme by Toyota Motor Europe. 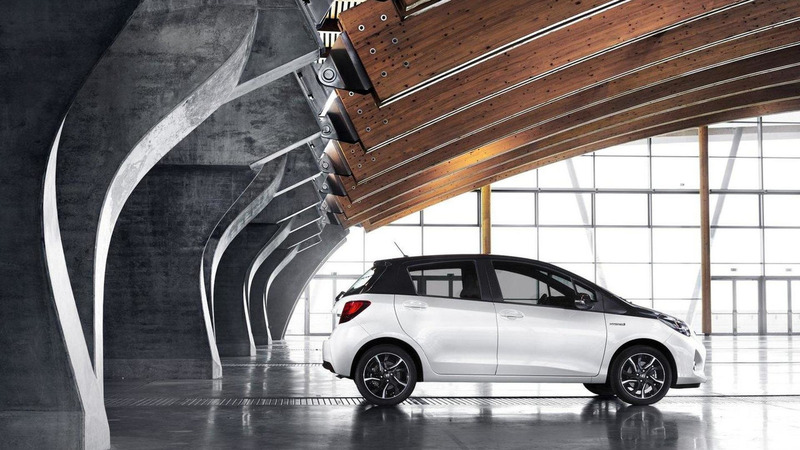 In Yaris the naturally aspirated 1,496cm2 engine develops a maximum 110bhp/82kW and peak torque of 136Nm at 4,400rpm. Its responsiveness ensures a comfortable drive both in urban traffic and on the open road. Compared to the 1.33-litre unit, it is 0.8 seconds quicker in acceleration from 0 – 62mph (11.0 versus 11.8), while at overtaking speed the improvement is more than a second, moving from 50 to 75mmph in 17.6 seconds compared to 18.8. Toyota’s world-leading experience in hybrid powertrain technology has proved valuable in addressing the challenges presented by the new Euro 6c emissions standard and RDE homologation cycle, witnessed in the new engine achieving a 38.5 per cent thermal efficiency value, placing it among the best on the market. This has been achieved by using a high, 13.5:1 compression ratio, adopting a cooled exhaust gas recirculation (EGR) system and extending the variable valve timing operation so that the engine can switch from the Otto to the Atkinson cycle to gain optimum efficiency in different driving conditions. The higher compression ratio has been made possible by the combustion chamber design and new pistons, which promote a homogenous air/petrol mixture and rapid combustion. Cooled EGR reduces combustion temperature and also helps prevent the occurrence of engine knocking. Furthermore, the volume of reinjected inert gases allows for a reduction in pumping losses at low and medium loads, improving overall engine efficiency. The adoption of a new variable inlet valve timing system – VVT-iE** – allows the engine to switch from the Otto to the Atkinson cycle (and vice-versa) in a fraction of a second. Controlled electronically, closure of the intake valve is delayed, reducing the compression phase and further helping reduce pumping losses (Atkinson cycle), and enabling a prompt return to the Otto cycle for better performance under high loads The phase shift of the exhaust camshaft is hydraulically controlled. The engineers also focused on improving fuel consumption at sustained motorway cruising speeds, leading to the use – for the first time on a Toyota – of a water-cooled exhaust manifold. By limiting the gas temperature, this avoids the need for mixture enrichment to reduce combustion temperature at any motorway driving speed. As a result, both fuel consumption and exhaust emissions are reduced. In common with other Toyota ESTEC engines, the 1.5-litre unit benefits from the latest measures designed to reduce friction losses.